In Norway there are 98 airports in total, 45 of which operate public flights, including one heliport, Værøy. Those airports are owned by the government’s airport operator, Avinor. Norway is the country in Europe with the most airline trips per capita. The routes from Oslo to Trondheim, Bergen and Stavanger are all amongst the ten busiest in Europe. Norwegian airports serve mainly as hubs for Norwegian Air Shuttle, Scandinavian Airlines and low-cost Ryanair and Widerøe. Oslo Airport is the main international airport serving the region of Oslo, Norway’s capital and most populous city. It is a hub for Scandinavian Airlines and an operating base for Norwegian Air Shuttle, connecting to 26 domestic and more than 150 international destinations. 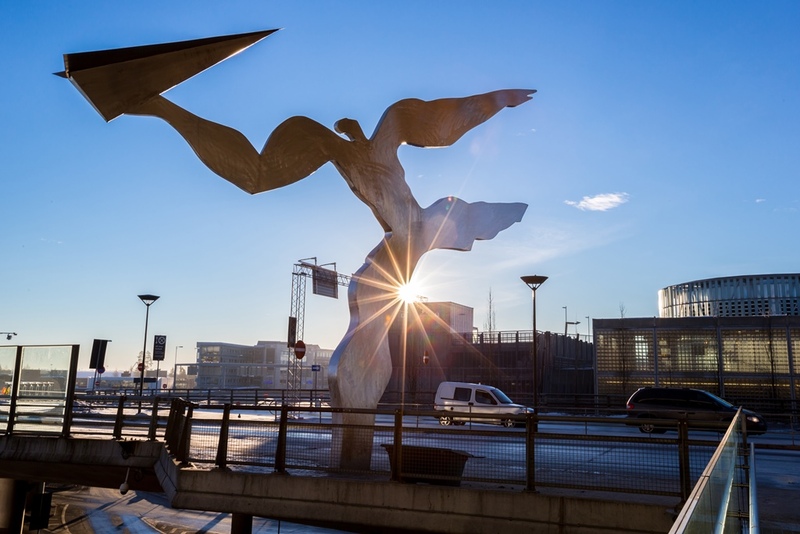 The airport handles about 27 million passengers per year, which makes it the second-busiest airport in the Nordic countries and the nineteenth-busiest in Europe. It is located 35 km northeast of Oslo, at Gardermoen in Akershus county. The airport is connected to the city center by the high-speed railway Gardermoen Line served by trains and Flytoget. The percentage of passengers using public transport to get to and from the Oslo Airport is one of the highest in the world (70%). Oslo is also served by the low-fare airport Torp in Sandefjord, situated 119 km to the south of downtown Oslo. Bergen Airport is an international airport located at Flesland in Bergen, a city in Hordaland county. Opened in 1955, it is the second-busiest airport in Norway, with more than 6 000 000 passengers a year. Scandinavian Airlines (SAS), Norwegian Air Shuttle and Widerøe are the largest airlines operating at the airport. The route to Oslo Airport, Gardermoen is among the busiest in Europe. The airport has 36 direct routes from major European cities, especially Amsterdam, Copenhagen and London. Most of the domestic flights are operated by Scandinavian Airlines, Norwegian and Widerøe. The Airport Bus takes about 30 minutes to the city centre, where you easily can get around the region by train from the Bergen Railway Station, by boat from Strandkaiterminalen or by bus from Bystasjonen. The airport bus departs every 10 minutes during daytime, and there are also some departures during night. Trondheim Airport is an international airport serving the city of Trondheim in Sør-Trøndelag county. It is located in Værnes, only 19 km east of Trondheim. It shares facilities with Værnes Air Station of the Royal Norwegian Air Force. The airport handles over 4 million passenger per year, making it the third-busiest airport in Norway. It has two terminals, one for domestic and one for international traffic. The airport also features an integrated railway station and an airport hotel. The main airlines at Trondheim Airport are Scandinavian Airlines, Norwegian Air Shuttle and Widerøe, for all of which Værnes is a focus city. The main route to Oslo is among the busiest in Europe. In total, the airport connects to 17 domestic and 21 international destinations, as well as 18 charter destionations. It is very simple to get to Trondheim by airport bus Nettbuss or Unibuss (or by NSB train). Buses are very frequent and correspond with the arrival times. Stavanger Airport is an international airport serving the city of Stavanger in Rogaland county in Norway. The airport is located 11 km southwest of Stavanger city centre, in the municipality of Sola. It is Norway’s fourth busiest airport, with both fixed-wing aircraft and helicopter traffic for the offshore North Sea oil installations. In 2017, the airport handled over 4,5 million passengers. Five airlines offer domestic flights to nine destinations, while ten airlines feature international flights to 37 destinations. The busiest route is Sola – Oslo Gardermoen, with approximately 28 daily flights. Nearby, there is an aeronautical museum, Flyhistorisk Museum, so in case you extra time, pay a visit. 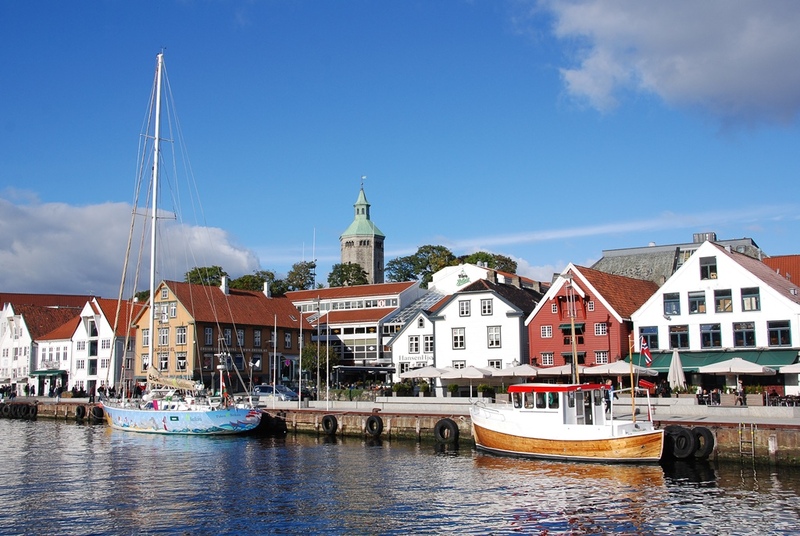 From the airport you can reach cities of Stavanger, Bryne and Sandnes in less than 30 minutes, but you can also visit other places in the region. Tromsø Airport is an international airport located at Langnes in Tromsø, Norway. It handles around 2 million passengers per year, which makes it the fifth-busiest airport in the country. 10 airlines operate both international and domestic routes from TOS. Scandinavian Airlines has the most flights in and out of Tromso/Langnes Airport with 433 flights every month. Tromsø became and still is the main hub for Widerøe’s regional flights to Finnmark. Tromsø Airport is located northwest of the city on the island of Tromsøya. The E8 motorway is located near the airport, via this road and road 862 Tromsø Airport is easily accessible. The city of Tromsø is easily accessible by airport express coach (Flybussen) in less than 15 minutes or by local bus line nr. 40 and 42.